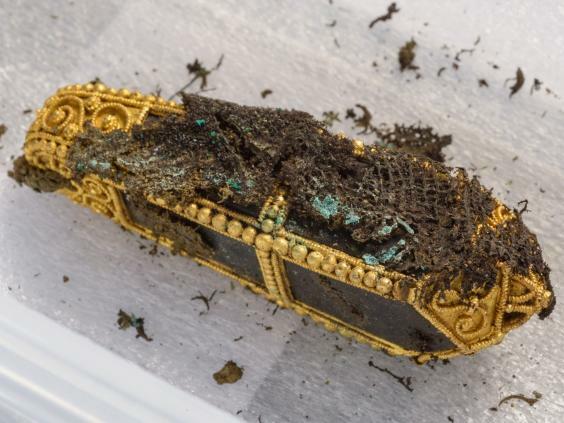 The first images have been released of Viking treasure buried in a Scottish field for more than 1,000 years. 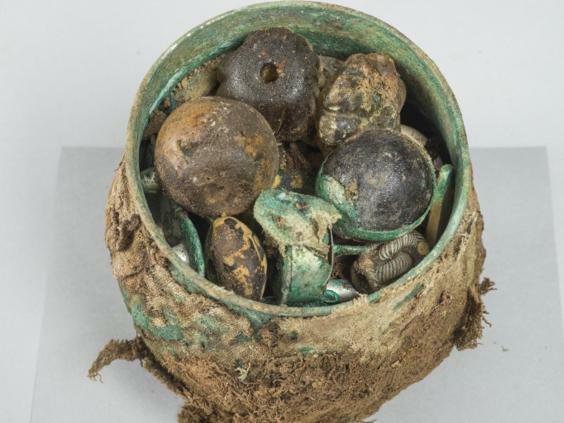 The objects were found inside a pot unearthed in Galloway and include rare items such as a silver brooch from Ireland and silk from around modern-day Istanbul as well as gold and crystal. The items date from the ninth and 10th centuries, and are part of a wider hoard of about 100 pieces, which experts say is the most important Viking discovery in Scotland for more than a century. Richard Welander, of Historic Environment Scotland, said: “Before removing the objects we took the rather unusual measure of having the pot CT-scanned, in order that we could get a rough idea of what was in there and best-plan the delicate extraction process. That exercise offered us a tantalising glimpse but didn’t prepare me for what was to come. “These stunning objects provide us with an unparalleled insight to what was going on in the minds of the Vikings in Galloway all those years ago. The items, found by metal detectorist Derek McClennan in September 2014, are now with the Treasure Trove Unit, which is responsible for assessing the value of the hoard on behalf of the Office of Queen’s and Lord Treasurer’s Remembrancer. 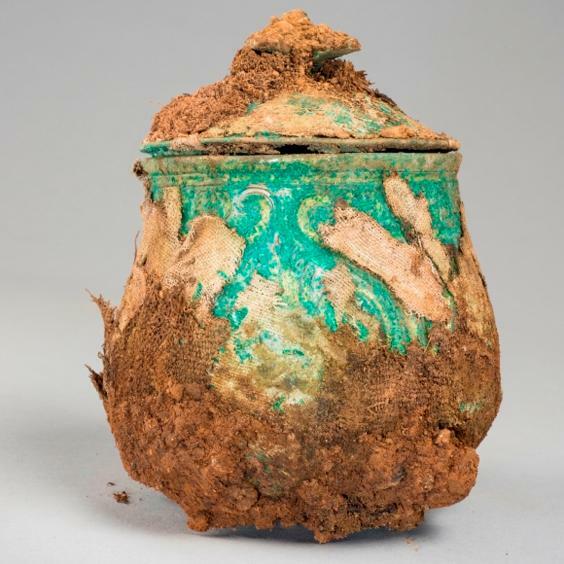 The hoard will then be offered for allocation to Scottish museums, with Mr McClennan eligible for the market value of the find – a cost that will be met by the successful museum.